Our Spring Food Drive is here! This year we look to the folk tale Stone Soup to inspire collaboration and generosity. 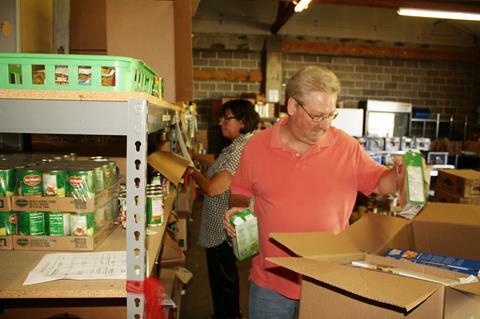 Whether you volunteer to deliver a food box, donate a can of soup, or contribute to our virtual food drive, we all work together to ensure our community is fed. With your support, our goal is to raise $15,000 and collect 10,000 pounds of food to provide 51,000 meals to our neighbors. Together, We Can Feed Our Community! Our Spring Food Drive has begun! 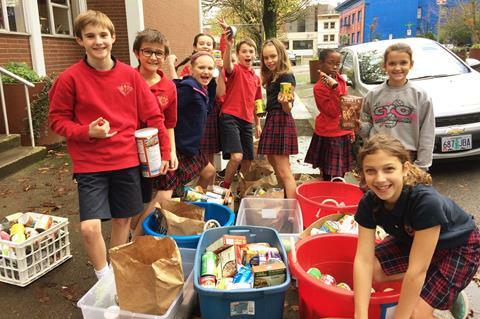 We have partners all over the city collecting food, funds, and raising awareness for Lift Urban Portland. Check out the list of participants here. Interested in hosting a food drive? Join us for Free Cone Day! 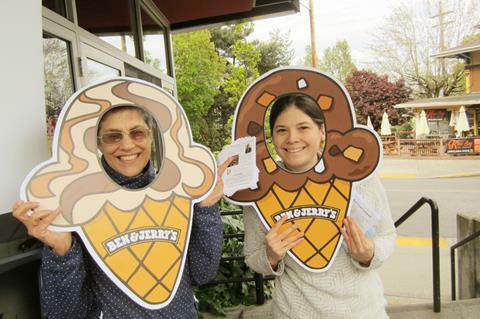 Every time you enjoy a scoop at Ben & Jerry's Uptown on April 10th, you show your love for Lift Urban Portland! Mark your calendars, grab your friends, and enjoy some free ice cream! A Shout Out to Chris from NW Pump!
" Hunger is a real thing, and Lift UP has a way to supply some of these needs. If everyone could make a difference in just one person’s life, then it’s all worth it. " volunteers through our partnership with NW Pump to pack Delivered Food Boxes. 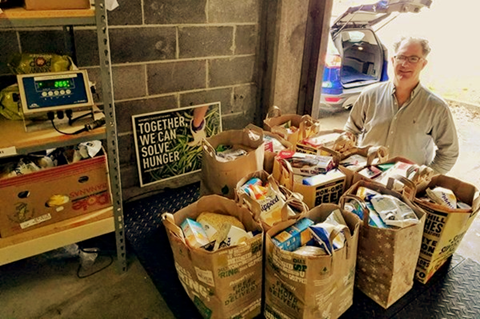 He takes his involvement a step further, and organizes bag and egg carton drives in his office while donating a case of eggs every month. Donate in Honor of Chris! Cottonwood School at Free Market! 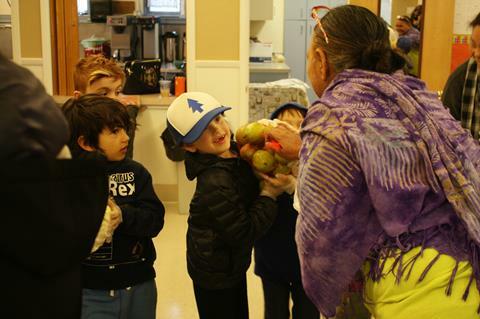 This month we had First and Second Graders from the Cottonwood School of Civics and Science volunteer to help us distribute food at our Free Food Market. Previously called Harvest Share, our Free Food Market serves an average of 75 families each month. Still In Need of Food Box Delivery Drivers!